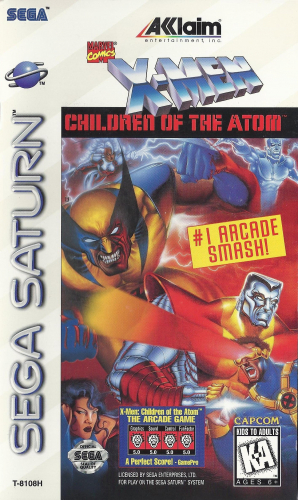 Another of Capcom's arcade games has arrived for Saturn. 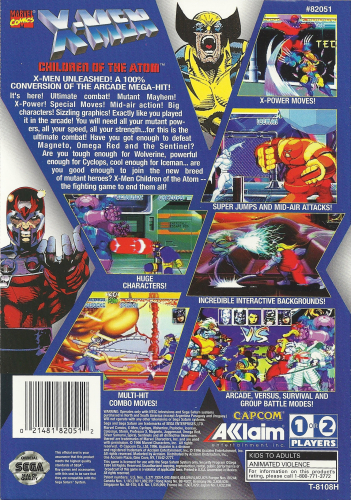 X-MEN: Children of the Atom is a 2D fighting game that features characters from the extremely popular comic book series. Each character has a series of special moves that can be performed by pressing certain button combinations. In addition to the Normal mode, there is a Two-Player Versus mode that gives you the opportunity to challenge your friends to a fight. X-MEN: Children of the Atom gives the 2D fighting genre new life with the addition of such a memorable cast and a roster of exciting moves.